Israeli police uncover international fraud scam aimed at immigrants from former Soviet countries living in Israel. Police arrested 12 suspects in what is shaping up to be a very large international fraud scam targeting elderly people from the former Soviet Union. The arrests came as the result of an eight month long investigation. The suspects are believed to have defrauded their victims for a total sum of one million NIS ($250,000 US). 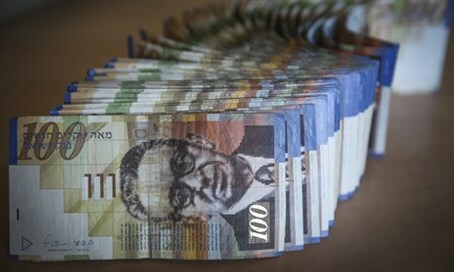 More than 270 criminal investigations were opened in to the sting, making it one of the biggest such operations in Israeli history. Criminal investigators even traveled to Lithuania in a joint effort with Lithuanian police to apprehend two of the ring leaders who were operating from there. The fraud scam operated on a steady and consistent manner. Suspects called elderly people who had left the former Soviet Union countries, and told them a fabricated story that a relative had been in an accident. The scammers told their targets that, should they want the situation handled without involving the authorities, then they needed to pay for the caller's "services." Often the they posed as lawyers, and the situation involved paying legal protection fees. A messenger would be sent within minutes to the target's house to collect the money. If the potential fraud victim were to suspect the authenticity of the the matter, or if the phone was hung up or the call dropped, the victim was never contacted again, and the ring would move on to the next potential victim. At the end of each day the money was then transferred to Lithuania via criminal organizations that transfer money internationally.